Subcorneal pustular dermatosis (SPD) or Sneddon-Wilkinson disease is a rare, benign, chronic, sterile pustular eruption which is associated with various systemic diseases including immunoglobinopathies, neoplasms, and autoimmune disorders. This paper reports a case of SPD in a patient with diffuse scleroderma in a 37-year-old woman. The hypothesis that immune dysregulation may play a role in the pathogenesis of SPD was supposed by the coexistence of diffuse scleroderma and SPD in our patient. Subcorneal pustular dermatosis (SPD) or Sneddon-Wilkinson is a rare, benign, chronic, sterile pustular eruption which is common in middle-aged or elderly women. It was originally described in 1956. 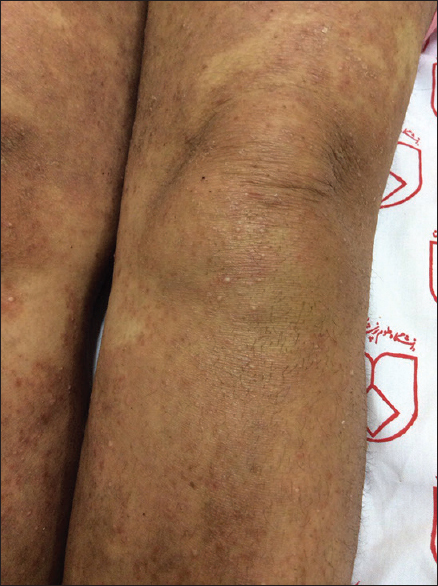 SPD is associated with various systemic diseases including immunoglobinopathies, neoplasms, and autoimmune disorders.,,, This paper reports a case of SPD in a patient with diffuse scleroderma in a 37-year-old woman. 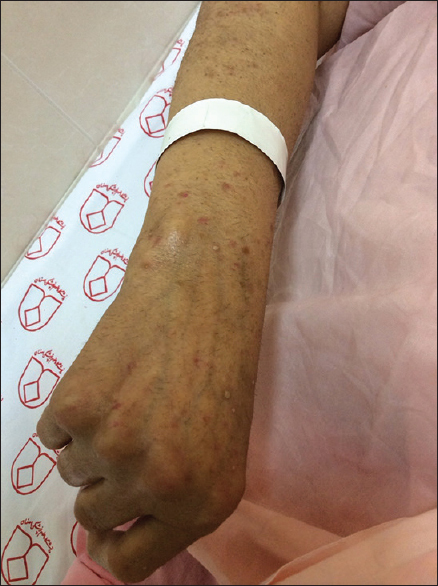 A 37-year-old female patient was admitted to our hospital with a 2-week history of recurrent generalized pruritic pustular eruption located mainly on the trunk and the extremities. No diagnosis and treatment procedures were made for the patient before her first visit in our unit. Her past medical history was notable for the presence of diffuse scleroderma for the past 7 years. Her medications included atenolol, valsartan, hydroxychloroquine, furosemide, and nifedipine. The dermatologic examination showed superficial vesicles and pustules located on normal skin or erythematous base of the trunk and the extremities. Gravity-induced demarcation could hardly be seen. The face, palms, soles, and mucous membranes were spared [Figure 1], [Figure 2], [Figure 3]. No lymphadenopathy or hepatosplenomegaly was presented. Physical examination showed a “bird-like” face with a beaked nose, telangiectasia, and radial furrowing around the lips. The fingers had a smooth, shiny, tapered appearance with the nails curving over the atrophic phalanges. The differential diagnosis included SPD, IgA-pemphigus, pustular psoriasis, and tinea. Because there was no history of exposure to a new drug, acute generalized exanthematous pustulosis (AGEP) was not considered in differential diagnosis. Cultures of the pustules were sterile. Biopsies were taken for light microscopy and direct immunofluorescence examinations. Microscopic examinations demonstrated acanthosis, focal parakeratosis, subcorneal pustules, and crust in the epidermis. A few acantholytic cells were identified. Focal vacuolar degeneration of the basal layer, infiltration of lymphocytes, and a few eosinophils accompanied by focal edema of papillary dermis were observed [Figure 4]. Direct immunofluorescence examination was negative. The diagnosis of SPD of Sneddon and Wilkinson was made based on the clinical and histopathological findings. Results of laboratory examinations including complete blood count, serum chemistries, serum protein electrophoresis, urine protein electrophoresis, and glucose-6-phosphate dehydrogenase (G6PD) were normal. When the normal level of G6PD was confirmed, our patient was started on dapsone at a dosage of 50 mg daily, topical steroid twice daily, Burow's solution every 8 h, and oral hydroxyzine 25 mg daily. She refused to take dapsone and continued on topical medications for 2 weeks. Although the patient initially responded to topical therapy, the disease recurred two times during a 3-month follow-up. Dapsone was prescribed for the patient again, but she refused to take the drug and did not refer to our hospital. Diffuse scleroderma is a multisystem disease manifested by fibrosis, vasculopathy, and disordered immune system.,,, The hypothesis that immune dysregulation may play a role in the pathogenesis of SPD is supported by the coexistence of diffuse scleroderma and SPD in our patient. SPD is more frequent among women aged 40 years or older;, however, in our patient, it developed under the age of 40. The appearance of the disorder in our patient before her forties may be associated with the coexistence of SPD with diffuse scleroderma. A case report by Brantley and Shethdescribed a 37-year-old female patient with SPD who had past medical history of rheumatoid arthritis and diffuse scleroderma. In the study, underlying systemic immunologic defect was also noted as an important factor in the coexistence of SPD with rheumatoid arthritis and diffuse scleroderma. The patient was treated with dapsone and was stable after 9-month follow-up. The recurrence of disease in our patient with topical therapy suggesting the importance of dapsone in the treatment of SPD. SPD may associate with underlying diffuse scleroderma and occur in the lower age in association with connective tissue diseases. Sneddon IB, Wilkinson DS. Subcorneal pustular dermatosis. Br J Dermatol 1956;68:385-94. Brantley EI, Sheth P. Subcorneal pustular dermatosis in a patient with rheumatoid arthritis and diffuse scleroderma. Dermatol Online J 2009;15:5. Abreu Velez AM, Smith JG Jr., Howard MS. Subcorneal pustular dermatosis an immnohisto-pathological perspective. Int J Clin Exp Pathol 2011;4:526-9. 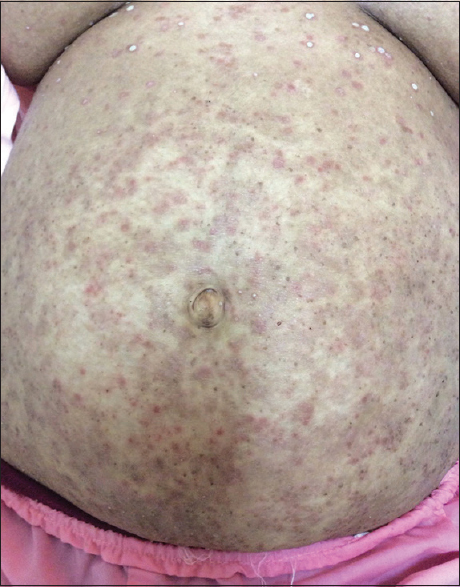 Ratnarathorn M, Newman J. Subcorneal pustular dermatosis (Sneddon-Wilkinson disease) occurring in association with nodal marginal zone lymphoma: A case report. Dermatol Online J 2008;14:6. 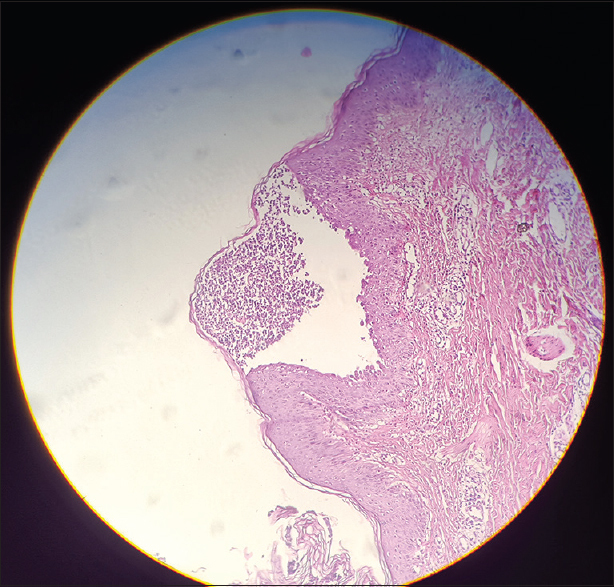 Scalvenzi M, Palmisano F, Annunziata MC, Mezza E, Cozzolino I, Costa C. Subcorneal pustular dermatosis in childhood: A case report and review of the literature. Case Rep Dermatol Med 2013;2013:424797. Cartier H, Plantin P, Leroy JP, Larzul JJ. Pyoderma gangrenosum, subcorneal IgA pustulosis and recurrent neutrophilic pleural and pulmonary diseases in a patient with IgA gammopathy. Ann Dermatol Venereol 1995;122:97-101. Villasante De La Puente A, Hormaechea Beldarrain JA, García Aguinaga ML, Vera López E, Gilsanz Fernández C. Pustulosis of Sneddon Wilkinson disease and multiple myeloma. An Med Interna 2001;18:373-5. Tsuruta D, Matsumura-Oura A, Ishii M. Subcorneal pustular dermatosis and Sjögren's syndrome. Int J Dermatol 2005;44:955-7. Saulsbury FT, Kesler RW. Subcorneal pustular dermatosis and systemic lupus erythematosus. Int J Dermatol 1984;23:63-4. Sakkas LI, Chikanza IC, Platsoucas CD. Mechanisms of Disease: The role of immune cells in the pathogenesis of systemic sclerosis. Nat Clin Pract Rheumatol 2006;2:679-85. Medsger TA Jr., Ivanco DE, Kardava L, Morel PA, Lucas MR, Fuschiotti P. GATA-3 up-regulation in CD8+T cells as a biomarker of immune dysfunction in systemic sclerosis, resulting in excessive interleukin-13 production. Arthritis Rheum 2011;63:1738-47. Hudson M, Fritzler MJ. Diagnostic criteria of systemic sclerosis. J Autoimmun 2014;48-49:38-41.